Citizen science, research supported by non-professional scientists, has gained more importance over the last decade which becomes evident in the increasing number of projects as well as in the worldwide amount of scientific publications related to this topic. Contributing scientific data and producing reliable scientific knowledge, citizen science has become a promising method of collecting a wide range of information from different fields of research. Moreover, participatory approaches make science more responsive to peoples’ needs and concerns. However, until today researchers have not fully discovered and used the potential of citizen sciences. Especially in the field of humanities, participatory methods are still underrepresented. One best-practice example of how to exploit the potential of citizen sciences in humanities is the transcription project of the Smithsonian Transcription Center. In the frame of this article we will analyze why the transcription projects of the Smithsonian are so successful. Additionally, a brief overview of ongoing discussions related to developing a sound definition of the term citizen science will be given, and future perspectives of public participation in humanities and strategies on how to motivate project participants will be discussed. If you see citizen science as an involvement of laymen in research this seemingly new scientific approach follows a long tradition. Collecting data with the help of citizens has been a common way of research for decades in several scientific institutions worldwide. A striking example for public engagement in data acquisition is the Christmas Bird Count, a census of birds in the Western Hemisphere, performed annually since 1900 by volunteer birdwatchers. Due to new tools, technologies and e-infrastructures data collection and data management have changed significantly. Highly sensitive sensors and automatic information extraction for example often supersede human observation and documentation. Nevertheless, citizen science is more popular and scientifically respected than ever before. 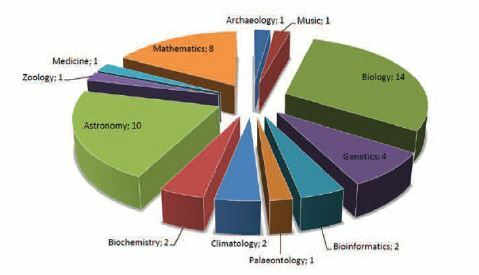 A survey initiated by Milena Dobreva and Daniela Azzopardi from the University of Malta illustrates the massive increase of academic publications discussing various aspects of citizen science (fig.1). According to this definition citizen science comprises much more than just the collection of data by non-scientists. Discussing results and asking new questions. These categories as well as the aims proclaimed in the Green Paper show a new understanding of science and citizen participation in our time. According to the Green Paper citizen science is a chance for society to develop a collective intelligence and new collaborative knowledge. Furthermore, it is reaching out to explore new disciplines, to bring together different industries and organizations and to study emerging research questions which finally will lead to a general democratization of research. Mobile devices like the smartphone, equipped with a camera, GPS and many other handy gadgets and apps revolutionized methods of data collection in citizen science projects. In connection with the e-infrastructures of the 21st century not only communication between scientists and project participants is easy, but also collecting, managing and storing information as well as giving feedback is uncomplicated. These infrastructures foster new ways of public participation for the benefit of citizen science (fig. 2). Moreover, the internet offers countless opportunities to get involved in citizen science projects and provides information about recent and closed research projects. Additionally, technological gadgets and gamification elements can be an effective way to motivate participants. The number of citizen science projects in humanities is lower than in natural sciences or geography. A study by Franzoni and Sauermann from 2014 evaluating 47 ongoing projects shows that citizen science in humanities has almost no quantitative relevance at all (Fig. 2). Besides the scientific methods used in a project, creating a work environment for volunteers is of central importance. In order to turn a citizen science project into a success it is not only necessary to gain many participants for the undertaking, but also to motivate them to stick to the project and not abandon efforts midway. As already mentioned, technology can help a lot to the success of a project. Still, it takes more than a mobile phone to keep volunteers going. To attract and maintain project participation it is essential to turn the project’s objectives into appealing activities that are also presented on a comprehensible website. Goals and tasks of the citizen science project have to be easy to understand and progress has to be documented regularly. A well-thought-out communication infrastructure should be maintained throughout the lifetime of the project. Volunteers should have a contact person replying to their questions if necessary. Feedback functions can help to gain a new perspective on the research activity carried out and should be considered worth implementing by coordinators. Interactive elements and quests are of central importance when it comes to motivating participants of all age groups. The social image tagging project Artigo which invites people to find key words for art works is a good example for gamification elements in citizen science. Collecting points, competing with other citizen scientists and seeing their name in a ranking is not only fun for participants put also helps to make fast progress in the project. Readability: Transcription preserves these historic documents for future generations as practices like cursive handwriting are less emphasized in schools. Even if this work is just contributive the project is an excellent example on how to inspire people to take part in a citizen science project. A clear, comprehensive web-design for example and simple instructions facilitate access to the projects. After the transcription other registered volunteers review the results and then staff of the Smithsonian Transcription Center validates the submissions. Thereby the upholding of quality and validity of the transcribed data is assured. To keep participants motivated the Smithsonian Transcription Center has developed several methods. First of all the center is very active on social media. Reporting about project achievements on a blog and sending out newsletters and emails to interested parties generates a very lively, buzzing vibe. People like to identify with the image and activities of the Smithsonian Transcription Center. Volunteers are given inside into the research work and are able to download and share results once the project is completed. By offering this opportunity the participant experiences that he or she is an important part of scientific research. Participants of Smithsonian transcription projects can also catch a glimpse of some behind-the-scene-activities going on at the institute: talk rounds with curators and managers of the Smithsonian are organized regularly. Volunteers cannot just ask questions but also give their feedback on projects and initiate new research projects. These behind-the-scenes events have turned out to be very rewarding for citizen scientists and researchers. The success of the transcription projects shows: more than 6500 volunteers have transcribed over 178297 pages of archived material into digitally-accessible information. Without doubt citizen science will gain more popularity in humanities in the years to come. The example of the Smithsonian Transcription Center shows how much potential these projects have. Mobile devices, new tools and e-infrastructures are already of great benefit to the field of citizen science. They help to make the capturing and exchange of information easier and motivate volunteers. Cultural institutions wishing to implement citizen science into their research should feel encouraged to design an appealing project infrastructure, plot captivating tasks and data collection mechanisms, and integrate gaming elements to turn their project into a success. Certain topics and fields of research in humanities can profit immensely from the participation of people, as the example of the Smithsonian Transcription Center demonstrates. The knowledge of the crowd can enrich the information pool available, from which new findings and conclusions can be generated. It is only a question of time until humanities will fully embrace the concept of citizen science. Opening up their research, becoming more democratic in their approaches and considering people’s ideas and concerns is all what it takes to make use of the thirst for knowledge of the crowd. 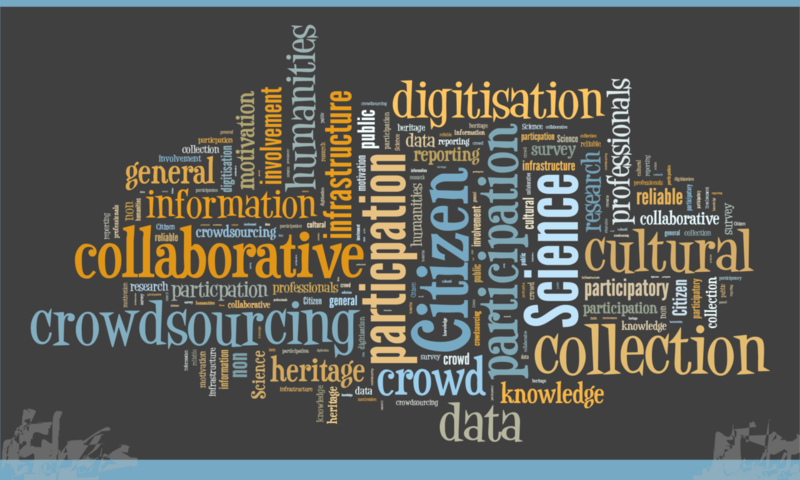 Dobreva, Milena/ Azzopardi, Daniela: Citizen Science in the Humanities: A Promise for Creativity. In: Papadopoulos, G. (ed.) Proceedings of the 9th International Conference KICSS, Limassol, Cyprus, 6–8 Nov 2014, p. 446–451. Ferriter, Meghan/ Wang, Ching-hsien: The Smithsonian Transcription Center: Crowdsourcing Document Transcription. In: Federal Crowdsourcing and Citizen Science Toolkit. 2015. https://crowdsourcing-toolkit.sites.usa.gov/smithsonian-transcription-center/ . Frederking, Angelika/ Richter, Stephan/ Schumann, Katrin: Citizen Science auf dem Weg in den Wissenschaftsalltag. In: iit perspektive. Working Paper of the Institute for Innovation and Technology. Iit perspective Nr. 26. 2016. Fresa, Antonella/ Justrel, Börje: A Roadmap for Citizen Researchers in the Age of Digital Culture. 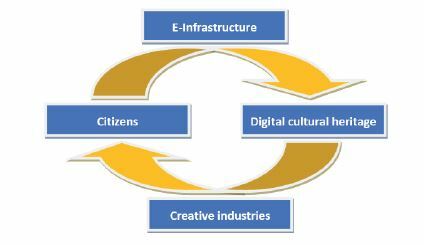 2016. www.digitalmeetsculture.net/civic-epistemologies.eu . Noordegraaf, Julia/ Bartholomew, Angela/ Eveleigh, Alexandra: Modeling Crowdsourcing for Cultural Heritage. In: MW2014: Museums and the Web 2014. Published February 17, 2014. Consulted October 12, 2017. Oomen, Johan/ Aroyo, Lora: Crowdsourcing in the Cultural Heritage Domain: Opportunities and Challenges. In: Proceedings of the 5th International Conference on Communities and Technologies, C&T’11, Brisbane, Australia. 2011, p.139-149. Pettibone, Lisa/ Ziegler, David: Citizen Science: Bürgerforschung in den Geistes- und Kulturwissenschaften. In: Kristin Oswald/René Smolarski (Hrsg. ), Bürger - Künste - Wissenschaft. Citizen Science in Kultur und Geisteswissenschaften, Gutenberg: Computus 2016, p. 57–69.